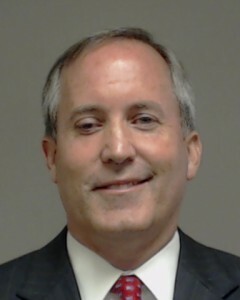 Attorney General Ken Paxton’s newly relocated criminal trial is scheduled to begin Sept. 12. The judge in the case set the trial date Wednesday, a day after moving the proceedings to Harris County. The trial had originally been scheduled to start May 1 in Collin County. The judge, George Gallagher, said in his scheduling order that the trial “will conclude no later than” Sept. 22. The order also said jury selection will begin Sept 11. Paxton is now seeking a new judge in the case. Hours after Gallagher sent the trial to Harris County on Tuesday, Paxton’s lawyers told the judge they would not give their permission for him to follow the case to the new venue. See here for the background, and here for more on Paxton’s attempt to get a new judge. I presume someone still needs to rule on that motion, and my guess is that first Judge Gallagher will have the opportunity to step down on his own, and if he chooses not to do so the administrative judge will rule on the motion. (You lawyers please feel free to correct me on this.) I don’t think that will take enough time to disrupt the proposed schedule, but if a new judge is installed I suppose it could. Finally, note that Paxton will only be tried on the lesser charge that he failed to register with the state securities board. If he is convicted, then prosecutors will proceed on the much more serious charges of securities fraud; if they fail, I presume they will cut their losses and go home. Between this and the Stockman trial, we’ve got quite the full calendar ahead of us. The Chron has more.